Things to read/watch whilst transiting: Outside magazine’s website asks why it’s so much fun to watch ski crash videos. Perhaps the answer is in the accompanying video. Things to read2: In the temples of Indiana high school basketball, a nice photo essay on the NYT Lens blog. I don’t need to tell you that “Hoosiers” is easily one of the finest sports movies ever made and this gallery echoes the spirit of that film. This is a better picture when the sun is shining — it’s the Gold Line’s reflection in a building between Arcadia and Monrovia. The building is on the south side of the tracks for you shutterbugs out there. Photo by Steve Hymon/Metro. 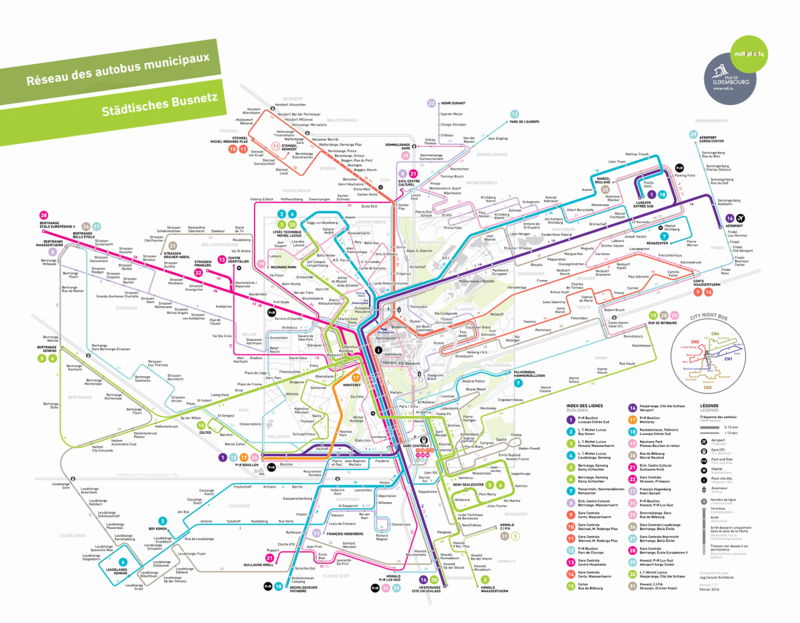 Jarrett Walker at Human Transit has a good post about the new frequency-based map for Luxembourg. Landofrye wasn’t exactly blown away by his/her first ride to Azusa, using the Red Line and new Gold Line extension. Among the complaints: trash, lack of police on trains and wrong signage that indicated an Azusa-bound train was going only as far as Pasadena. Also: Landofrye wasn’t impressed with station locations, saying only the Azusa Downtown station felt sort of urban — and the rest felt sort of isolated or too suburban. •I think the operational hiccups will continue to smooth out. We’re certainly collecting as much feedback as we can on our end and trying to get it to the appropriate people. •There’s undoubtedly some serious redevelopment and first-mile-last-mile work that’s needed at the new stations (quite frankly, it’s fair to say the same thing about a lot of other existing stations, too). We covered some of the current plans and future developments in this recent How We Roll. Keep in mind that the Rosedale development north of APU/Citrus is still very much growing and that Duarte has a plan to redevelop 19 acres immediately north of their station (currently an office park/warehouse) area. The LAT looks at projects that may be included in the spending plan for Metro’s potential sales tax ballot measure, attributing the information to two unnamed officials briefed on the plan but not allowed to speak publicly. Metro will release the spending plan later this month. She declined to comment on any specific projects until the list is released publicly. @laura_nelson I mean, I don’t mean to complain or anything, but for $120 billion I feel like Angelenos should all be getting jetpacks. Let’s do the math! The Martin personal jetpack, available in 2017, will supposedly be priced at under $150,000, so says the company. Which I assume means that it will cost $150K or more. $150,000 x 10 million L.A. County residents = $1.2 TRILLION. 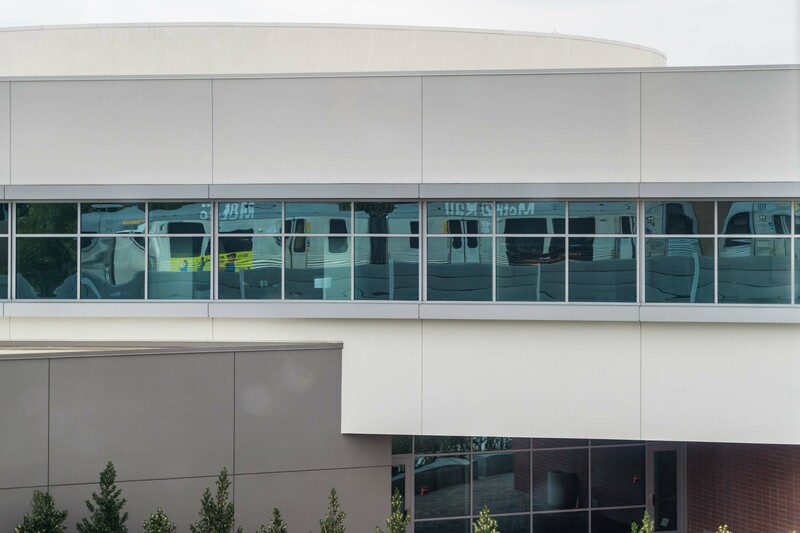 The Post says this is only the second public private partnership to build a big transit project in the U.S. — the other being a new rail line between downtown Denver and the airport that opens next month (Metro CEO Phil Washington helped put that deal together as CEO of the RTD in the Denver area prior to last year). The state would pay $159.8 mil- lion in upfront construction costs. The rest of the construction costs would be covered by about $900 million in federal aid and a combined $160 million pledged by Montgomery and Prince George’s counties. The counties also have pledged in-kind contributions, such as land. After the line opens, the state would pay $149.4 million annually to cover the line’s operating and maintenance costs and pay off the private team’s construction debt. The state would pay the same amount regardless of how many people ride the line. Whatever annual costs aren’t covered by fare revenue would be paid out of the state’s transportation trust fund. The amount of those annual payments could be reduced if certain standards, such as clean stations and reliable service, aren’t met, state officials have said. The state would set fares. Metro has certainly been saying for some time that it is looking at public-private partnership. One project oft-mentioned is the Sepulveda Pass Transit Corridor, which gets $1 billion from Measure R, meaning more funding will be needed to build more expensive options (such as a rail line). See above and, again, stay tuned! Business columnist Michael Hiltzik thinks the state high-speed rail project would be a boon for the state despite the ongoing debate and funding shortfalls. Concur. I don’t think having a certain funding source would make all the controversy vanish, but I think it would go a long way toward building confidence that the bullet train might actually get built. As for the original bond measure language requiring the train to travel between L.A. and S.F in less than three hours….I think that would obviously be great. As I’ve opined before, I think plenty of people would be thrilled if the train could travel between the two cities in four to five hours. That might lower the cost enough to get the thing actually built. 2. If Metrolink can be re-routed along the Alameda Corridor-East right of way, that would free up the El Monte Busway right of way for heavy rail transit, which could then be tied in as a San Gabriel Valley extension of the Purple Line. This would serve far more commuters than the currently planned SR-60 alignment for the Gold Line Eastside Extension, and would likely cost far less since the right-of-way is already grade-separated for the most part. They really need to include the Green Line extension to the Norwalk Metrolink/Amtrak/Hight Speed Rail station. This is one of the most important projects from a regional standpoint. I agree with Donk. It would be a major mistake to not fund the very important Green Line extension to Norwalk Metrolink. It’s a bit embarrassing how few Metro stations link with Metrolink. The Bay Area has numerous stations with both BART and MUNI trains.